I always thought that making light, moist meatballs was out of my scope, but when I discovered the secret to success, thanks to my mother’s hard work and persistence, meatballs became part of our regular repertoire. You can really flavour them however you like, but I found that this combination of condiments and spices makes the perfectly seasoned, tasty meatball that would do well even without the sauce. I’ve also discovered that oven-baking meatballs is the only way to cook them. It’s quicker, uses no extra oil, and is a much simpler method for busy home cooks. Serve these up in a rich tomato sauce, with pasta or mashed potatoes, or simply on their own. Left-overs make super sub-sandwiches. 500g mince (I use beef, but you can combine pork and beef). First of all soak about a cup of breadcrumbs in some milk for about ten minutes. Then squeeze out the milk, so you are left with plump, moist breadcrumbs. 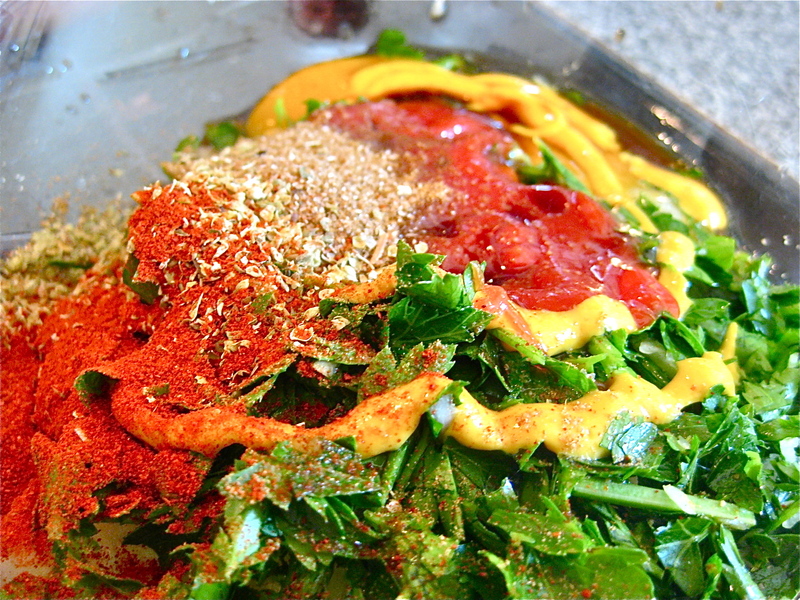 Throw the onion, garlic and parsley into a food processor, to get nice fine pieces. Then throw everything into a bowl and mix with your hands. Your hands will do the most thorough job. Now line a couple of baking trays with baking paper and roll little balls of the meat mixture and place them on the trays. Cook at about 180C for about 20 minutes. The smaller they are the quicker they cook…obviously. You can use these meatballs in tomato sauce – which is an entry on it’s own…and served up with pasta, or mashed potato. I put mine in a baking dish with some home made tomato sauce, and I cover and bake for about an hour. Hi Lara – They look delicious. 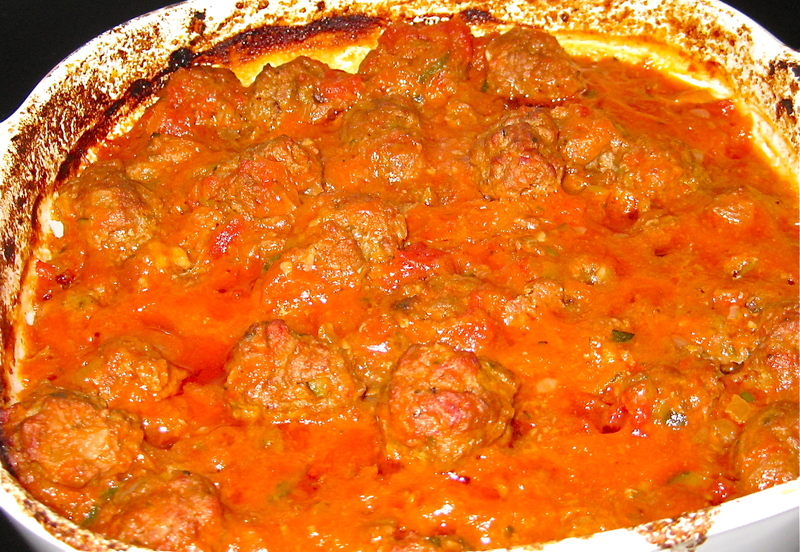 Do you cook the meatballs the first time then cook them again in the tomato sauce? In your blog your refer to 20% mince and 5% mince. What is that? Hi Louise, yes, I bake the meatballs in the oven until they’re browned, and then I simmer them in the sauce too. Cooking them in the sauce, and the milk-soaked bread means they won’t go rubbery. Mince comes in a variety of fat content, ranging from 20% down to 5%. The higher the fat content the juicier your meatballs are, but they’re also not great for health. So I use the 5% fat content mince and make them tender using the milk/bread technique. Hope this helps.